Whether you’re a first-time renovator, or a seasoned reno junkie, if you’re contemplating embarking on a renovation, then here are some useful tips that will save you a lot of headaches along the way! BUDGET – BORING, BUT SUPER IMPORTANT! When working with clients that are embarking on a renovation, there are a series of steps we like to take them through at the very beginning to ensure that we’re all on the same page, often, the part most people get wrong or underestimate the importance of is their budget. I know it probably seems like a bore to talk about budgets (after all, don’t we all want to focus on the pretty stuff like choosing our door handles, paint, tapware etc) BUT without a sound understanding of what your renovation is going to cost you, you are already setting yourself up for failure! We spent years budgeting our reno costs using excel spreadsheets, sure they did the trick at the time, but there are so many other great ways to help you not only track your spending whilst renovating, but also to help you set a budget before you even begin! Winning! Our favourite must download app is the Rapid Reno mate app. This app is every renovators godsend, it helps you to find out how much you should be paying for trades in your state, meaning you can never be ripped off blind again because you weren’t sure how much you should be paying your plumber for example, the app also tracks your expenses, so you can quickly see what you’ve spent even while you’re on the go! This one sounds simple, but its often the one thing that can trip would be renovators up (and yes, we’ve been guilty of this too!) unfortunately sometimes you have to make compromises when it comes to renovating, this might be because of budget or time restraints, or it could be because of supplier shortages. We’ve had instances where an entire projects inspiration came from a particular tile, and this was the jumping off point for everything else.. we had a knockout design planned, only to find out mid-way through the renovation, that the supplier had given us a sample of a discontinued tile and there was nothing even remotely close that matched it- stress level x 1000! The end result was substituting said (gorgeous) tile for a beautiful stone instead, it was a material we hadn’t even considered for this project to be honest, and the end result probably ended up turning out even better than what we had originally planned, but at the time it was hard not to get hung up on our original ideas. Being flexible means that you can be prepared for any unexpected hiccups and it wont throw you off course if something happens along the way, these days we always have a backup option, having a Plan B, means we know we’re covered! Don’t underestimate the power of a good list! We’ve had to cull items from a project in the past, and in hindsight wished we’d chosen to cull something else, creating a wish list at the start of your renovation, can help you not to regret a thing! Once you’ve done this, if the budgets wearing a bit thin, be prepared to strike things off your list starting from the bottom up. Setting your intentions at the beginning of the project and prioritising what you want in order of preference and importance to you, will help you to make those tough decisions down the track more easily without having to go without all your most important choices. “Yep, we should be done by Christmas” but please don’t fall into this trap!! Yes your builder means well, (and he might well be finished by then) but things happen, and sometimes your project will be delayed, so don’t go and rent a house for only 3 months to live in while your renovation is being done with no back up plan, opt for a month to month rental if you’re going to be leasing while your renovation is underway, and don’t give notice that you’re moving out UNTIL you’ve been given the keys back to your newly renovated house, the certificate of occupancy has been issued, and you know that the works have been completed in full, otherwise you could be couch surfing at mum and dads for a while, and seriously, ain’t nobody got time for that! DIY can cost you money and time, for example we thought it would be great idea for us to handle all the demolition ourselves with our own renovation, which in some ways it did, but in hindsight our time would’ve been better spent hiring someone to do it, it would of freed us up to focus on running the business and keeping the cashflow coming in. You’ll need to work out what’s best for your situation in terms of time & money, but if you can afford to hire someone that’ll get the job done 3 times faster than you might be able to, then in the long run you’re going to get your reno over and done with a lot quicker, whilst also keeping your sanity (and marriage) in check! 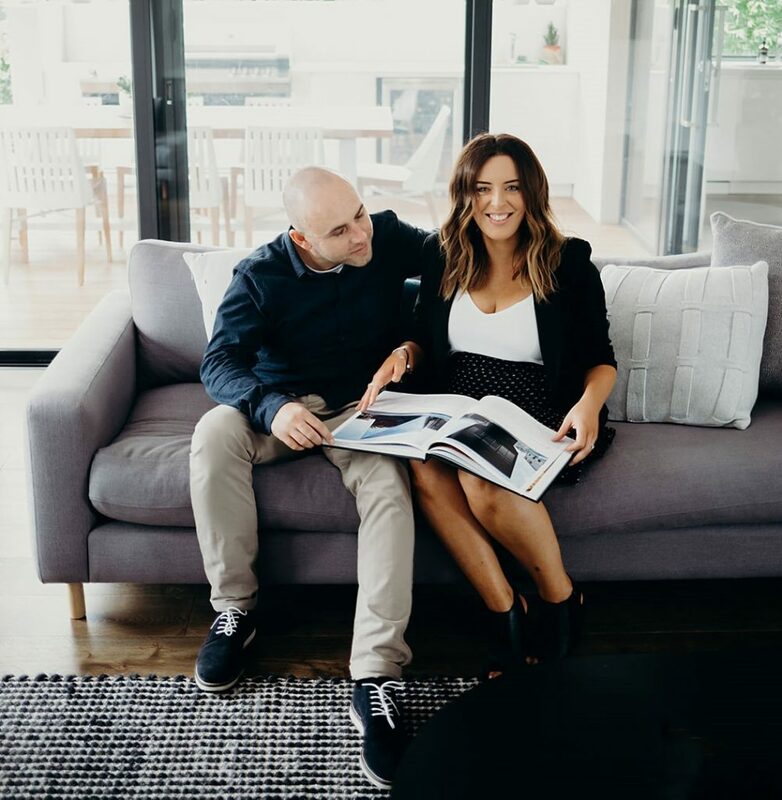 Lauren Silvaria is the owner and founder of My Little Empire, an Interior Design studio based in Bayside Melbourne, together with her husband Mika, Lauren brings enthusiasm and charm into the homes of others through cleverly designed spaces and interior styling. Their fun loving, down to earth nature makes for a relaxed and memorable experience, Laurens work has seen her working with Channel 9’s The Block, Love Shack TV and various other commercial and residential projects.